Korg’s new masterpiece when it comes to putting out the right product in the right look to the right price at the right moment. 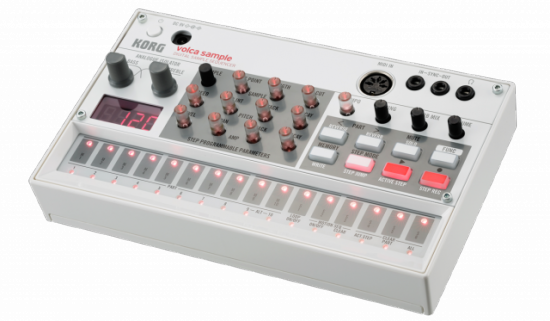 We just thought, that the Volca-series was more or less “over” – and suddenly this neat looking sampler is coming to us in winter 2014. Ah, one notice. You can’t directly sample with this one. But there is a iOS-app, that lets the transfer sounds to the hardware. So only a 0.75-sampler. The second drawback might be the low sample rate of only 31.25kHZ, 16-bit sampling. Well, yeah. In parts. You can use an iOS-App for putting samples on this device. Ok, in that sense this is not a “Sampler” that is right.